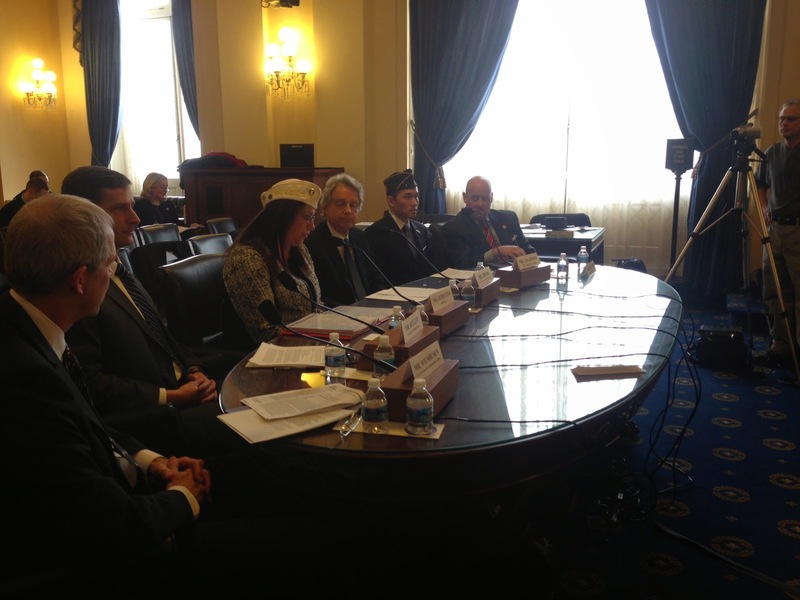 AMVETS and RAC Chairman testify in support of Gulf War veterans' legislation, H.R. 4261, the Gulf War Health Research Reform Act. (91outcomes.com - Washington, DC) - Yesterday, AMVETS National Legislative Director Diane Zumatto testified regarding AMVETS' strong support of H.R. 4261, Gulf War veterans' Gulf War Health Research Reform Act, in a bill hearing of the U.S. House of Representatives Veterans' Affairs Subcommittee on Oversight and Investigations. Also testifying in strong support of this restorative legislation was The Honorable James Binns, outgoing Chairman of the Congressionally chartered federal Research Advisory Committee on Gulf War Veterans' Illnesses (RAC). SOURCE: U.S. House of Representatives, Committee on Veterans' Affairs, Subcommittee on Oversight and Investigations; Hearing entitled, "Legislative Hearing on H.R. 3593, H.R. 4261, H.R. 4281 and other Draft Legislation"
If we ever expect to understand GWI, if we ever expect to develop medically appropriate treatments for it, and if we ever hope to truly improve the quality of life of our Gulf War veterans, then continued research, as well as adequate, on-going funding, is absolutely vital. Our veterans didn’t give up while they served overseas; they risked their lives and their health for the good of all American citizens. It’s time for this country to hold up its end of the bargain by doing everything possible to take care of the healthcare needs of our Gulf War veterans. AMVETS believes this legislation can be part of the solution that Gulf War veterans have been waiting 23 years for. Chairman Coffman, Ranking Member Kirkpatrick and distinguished committee members, while I am pleased to have this opportunity to sit before you today, I am simultaneously disheartened that it is because we’re still dealing with administrative issues rather than making progress towards the understanding and treating of the scourge that is Gulf War Illness. In the ‘Objectives and Scope of Activity’ section of the committee’s original 2002 charter it is further stipulates that the RAC, “. . .shall review all proposed federal research plans, initiatives, procurements, grant programs, and other activities in support of research projects on Gulf War-associated illnesses and assess the individual projects and the overall effectiveness of government research in addressing central questions on the nature, causes and treatments of Gulf War-related illnesses.” There can be no doubt that the RAC, in conjunction with the VA, has been charged over the years with important, and in some cases, life or death responsibilities and AMVETS is appreciative of all the work done by both entities. Research has shown that Gulf War illness is associated with service in the 1991 war; that it affects at least 175,000 veterans; and that it is a physical condition caused by toxic exposures, rather than stress or other psychiatric factors. Symptoms typically include debilitating fatigue, cognitive and other neurologic symptoms, gastrointestinal problems, skin problems, chronic widespread pain, and persistent headaches or migraines. Gulf War veterans also have elevated rates of ALS, Lou Gehrig’s Disease and there is concern that Gulf War Illness could develop into life-threatening neurological disorders as this cohort ages. Unfortunately, at this point in time, there are no effective treatments. AMVETS’ only concerns regarding the subject of this hearing are simply - the health and quality of life of our Gulf War veterans. For more than 20 years now, these men and women have suffered, and continue to suffer, from the often debilitating effects of Gulf War Illness (GWI). How much longer will they be expected to wait to get relief from their decades-long pain and distress? identify additional focus areas for future research. I would suggest that it is common knowledge that bureaucracies, and VA is among the largest, are not well known for their transparency, creativity or ability to ‘think outside the box’; therefore, it makes good sense to have an independent, non-partisan and transparent body, with its own support staff, nothing to lose and no hidden agendas, composed of medical professionals, research experts, veterans and other stakeholders, so prominently involved in this important work. Additionally, by openly allowing academic subject matter experts and medical professionals to participate in RAC activities, the best and brightest are able to contribute and act as force multipliers towards resolving the problem of GWI. AMVETS, as one of the authors of the Independent Budget, as a member of the Military Coalition (both of whom take strong positions on the issue of GWI) and one of the preeminent, congressionally-chartered veteran service organizations in the country, is extremely disappointed that the VA often appears to be working at cross-purposes with the RAC and has failed to act on recommendations made by the committee in June 2012 and February 2013. The charter change also calls for the elimination of the provision granting the committee its own staff, as well as, the replacement of half of the committee members this year and the balance in 2015. I hope that these concerns and others expressed today indicate why AMVETS supports, HR 4261, the Gulf War Health Research Reform Act of 2014. This concludes my testimony and I’ll be happy to answer your questions. Neither AMVETS nor I have received any federal grants or contracts, during this year or in the last two years, from any agency or program of the federal government. Diane M. Zumatto of Spotsylvania, VA joined AMVETS as their National Legislative Director in August 2011. Ms. Zumatto, a native New Yorker and the daughter of immigrant parents decided to follow in her family’s footsteps by joining the military. Ms. Zumatto is a former Women’s Army Corps (WAC) member who was stationed in Germany. Zumatto was married to a CW4 aviator in the Washington Army National Guard and is the mother of four adult children. Ms. Zumatto is extremely proud that two of her children have chosen to follow her footsteps into military service. Ms. Zumatto has more than 20 years of experience working with a variety of non-profits in increasingly more challenging positions, including: the American Museum of Natural History; the National Federation of Independent Business; the Tacoma-Pierce County Board of Realtors; the Washington State Association of Fire Chiefs; Saint Martin’s College; the James Monroe Museum; the Friends of the Wilderness Battlefield and the Enlisted Association of the National Guard of the United States. Diane’s non-profit experience is extremely well-rounded as she has variously served in both staff and volunteer positions including as a board member and consultant. After receiving her B.A. in Historic Preservation from the University of Mary Washington in 2005, Diane decided to diversify her experience by spending some time in the ‘for-profit’ community. Realizing that her creativity, energy and passion were not being effectively challenged, she left the world of corporate America and returned to non-profit organization. Chairman Coffman, Ranking Member Kirkpatrick, and Members of the Committee, I appreciate the opportunity to testify in support of H.R. 4261, the Gulf War Health Research Reform Act of 2014. Since Congress created the Research Advisory Committee on Gulf War Veterans Illnesses in Public Law 105-368, members of the Research Advisory Committee have testified at ten Congressional hearings. This is the last time a member of the Committee will freely testify to Congress, without VA censorship, unless this bill becomes law. 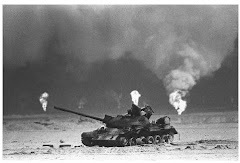 The title of the 1997 Congressional report which led to the creation of the Committee was “Gulf War Veterans Illnesses: VA, DOD Continue To Resist Strong Evidence Linking Toxic Causes To Chronic Health Effects". The only difference is that science now knows for certain that Gulf War Illness is a physical disease, that it is associated with service in the war, that it affects an estimated 250,000 U.S. veterans, that it cannot be explained by any psychiatric illness, and that it likely results from environmental exposures. I am not quoting the Research Advisory Committee. Those are the conclusions of the Institute of Medicine’s landmark 2010 report. 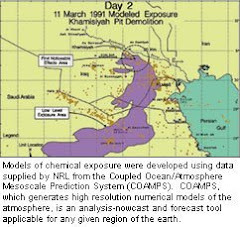 Our committee agrees but goes further to name the exposures: pyridostigmine bromide pills, pesticides, and very possibly oil well fires, multiple vaccinations, and low level nerve agents released in the destruction of Iraqi facilities. The Institute of Medicine report also tells us that “effective treatments, cures, and, it is hoped, preventions” can “likely” be found with the right research, and called for a renewed research effort to achieve those goals. Next month, the Research Advisory Committee will release a five-year report that shows science is making progress. Research is beginning to identify probable underlying mechanisms, promising treatments and biomarkers. Just as science is turning the corner, however, career VA and DOD staff have pushed back in an attempt to reassert discredited fictions from the 1990’s that “the same thing happens after every war” due to psychiatric factors. Because there is not a shred of scientific evidence to support this position, they have resorted to manipulating research studies and reports to provide apparent support. In its recent survey of Gulf War veterans, the VA Office of Public Health included the questions necessary to identify PTSD but not Gulf War illness. In the journal Military Medicine, the heads of the three VA War-Related Illness and Injury Study Centers wrote that “chronic multisymptom illness has been documented after armed conflicts since the Civil War” and that a “biopsychosocial approach to the illness … will most benefit the patient.” In a briefing to an Institute of Medicine committee studying treatments for chronic multisymptom illness in Gulf War veterans, the director of the VA Post-Deployment Integrated Care Initiative stated that it is unknown whether the illness is physical or psychiatric. The list goes on. VA’s standard talking point is that it “does not support the notion some have put forward that these health symptoms arise as a result of Post-Traumatic Stress Disorder (PTSD) or other mental health issues.” But the “some” who are putting forward this “notion” are VA staff. These actions threaten to mislead science down blind alleys once again, just as has happened for most of the past twenty-three years. The Research Advisory Committee has been charged since its inception with the responsibility to assess the effectiveness of government research, and we complemented early progress under Secretary Shinseki. But when the tide turned and staff launched its campaign to revive 1990’s fictions, the Committee reported it in detail to the Secretary in June 2012 and in testimony to this subcommittee in March 2013. We asked the Secretary to investigate these actions and to remove those responsible from positions of authority over Gulf War research. Instead, VA removed us. In May 2013, I was notified that the committee’s charter had been changed to eliminate its charge to assess the effectiveness of government research and that the membership of the committee would be entirely replaced over the next year. New blood is certainly desirable, but two of the three scientists subsequently proposed for membership by VA were stress advocates. One has edited a textbook on stress and is a member of the American Psychosomatic Society. The other published an editorial last year which stated that “presupposing a primary, supplementary, or synergistic role for stress in the Gulf War syndrome . . . provides a framework for valid scientific analysis.” It is apparent that VA intends to use the Research Advisory Committee itself in its campaign to resurrect these discredited themes. VA has sought to backtrack on its appointments, pulling these names and appointing others that I and other current members supported. I have heard that VA may be preparing to name its next round of members to reassure skeptics that it is not going to pack the committee. But that is now, while their actions are under scrutiny. They have shown where they intend to go, once that scrutiny is gone. It is apparent that VA intends to use the committee itself to resurrect these discredited themes. VA has attempted to explain the charter changes as routine, necessary to comply with the Federal Advisory Committee Act, or that the committee’s work constituted improper oversight. But virtually identical language has been part of all previous five charters signed by four VA Secretaries, including Secretary Shinseki in 2010. All recognized that an inherent part of advising on future research is to assess the effectiveness of the research already being done. The clear purpose of the charter change was to stop the committee from reporting further on VA staff’s efforts to mislead research. And that is exactly the effect it is having. Attached to my testimony is the draft section on VA’s research program which had to be removed from the report that the committee will release next month. In the future, VA Secretaries and Congressional committees will not have the benefit of this information. In addition, VA has recently stated that committee members may not release reports and recommendations without written VA approval. Not even the pretense that the committee is independent remains. I urge you to read this section, not only to appreciate in more detail the dangerous campaign now underway, but also to see that it is a balanced assessment, giving credit where credit is due. Similarly, the legislation before you, H.R. 4261, is a balanced approach to the problems I have discussed. It gives back to the Research Advisory Committee the responsibilities that were taken away last year. It provides for the independent operation of the committee within VA but not subject to VA authority. It provides for nine of the twelve members to be appointed by the chairs and ranking members of the House and Senate Veterans Affairs Committees, and three members by the Secretary of Veterans Affairs. These provisions are based on the bipartisan model of the Advisory Committee on Student Financial Assistance, which has operated successfully within the Department of Education for over twenty years. The bill also reasserts other appropriate Congressional authority. VA has routinely disregarded laws passed by Congress related to Gulf War research. In some cases, studies ordered by Congress have not been done at all, such as the studies ordered by Congress in 2008 of the prevalence of multiple sclerosis, Parkinson’s disease, brain cancer, and other central nervous system abnormalities in Gulf War veterans and in veterans of Post 9/11 operations. Other studies ordered by Congress have been changed by VA to produce results VA desired rather than what Congress ordered. When Congress ordered VA to contract with the IOM for a review of best treatments by a panel of doctors who treat Gulf War veterans, VA contracted for a literature review by a panel with no Gulf War expertise. The panel was overweighted with specialists in psychosomatic medicine, and the report largely reviewed psychiatric treatments. When Congress ordered VA to contract with the IOM to review the health effects of toxic substances to which troops were exposed in the war, Congress specified multiple times that the reviews should consider animal as well as human studies. Yet the resulting IOM reviews have excluded animal studies from consideration in their conclusions. Since most studies of toxic substances are necessarily done in animals for ethical reasons, IOM reviews consistently find insufficient evidence that a substance causes health effects. This same standard is now being applied to mislead conclusions regarding the health effects of toxic exposures to veterans of the recent wars in Iraq and Afghanistan. The bill requires VA to specify that animal studies will be considered, as previously ordered by Congress, in future IOM studies of toxic substances to which veterans were exposed. The bill also states that it is the sense of Congress that Gulf War studies previously ordered by Congress be conducted, or reconducted, in accordance with Congress’s prior direction, and that IOM committees studying Gulf War health include three members of the Research Advisory Committee. The bill further provides that it is the sense of Congress that VA should conduct an immediate followup to its national survey of Gulf War veterans to include the questions necessary to identify Gulf War illness. A complete analysis of the bill’s provisions is attached to this testimony. This bill is essential to maintaining hope that research progress will continue. But restoring the committee only gets us back to where we were, advancing science in one area, while staff pulls it back somewhere else. That is what has happened for the past twenty-three years. If the IOM is correct, as I believe it is, that effective treatments can likely be found with the right research, then Gulf War veterans would likely have effective treatments today were it not for staff obstruction. Instead, hundreds of millions of dollars have been spent in the name of Gulf War health, with little to show for it until recently. Gulf War veterans who became ill serving their country consider this history a betrayal, with good reason. Having spent most of my working life in medical technology businesses, I also have never understood its logic. If the concern is to save money, developing treatments for ill veterans is far more cost-effective than paying for benefits and healthcare for the rest of their lives as their conditions further deteriorate. Similarly, it makes no sense to sabotage this research while current and future American forces remain at risk of similar exposures, as recent events in Syria have emphasized. As a Vietnam veteran and former Principal Deputy Assistant Secretary of Defense, I understand that chemical defenses based on preventative and immediate measures will not be effective in the terrorist settings that American troops and civilians are most likely to face. It is critical that the tragic experience of Gulf War veterans be used to develop medical countermeasures for longer-term, low-dose exposures. In summary, this research should continue with every encouragement for excellent reasons. But unless the obstacle of VA and DoD staff obstruction is removed once and for all, science candidly may never reach its goal. This is not easy science. Expecting the research community to find the answers, while it is being misled by bogus studies and reports, is unrealistic. VA leadership has decided to shoot the messenger instead. I urge Congress to go beyond this bill to pursue the rigorous investigation necessary to end this shameful history and clear the way to success. To continue this flawed process as it has gone on these many years is a cruel hoax on Gulf War veterans and the men and women in uniform today who expect their government will protect them.